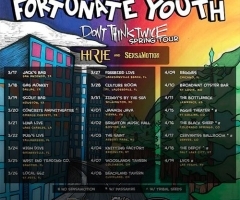 It's only a few days into the new year and Fortunate Youth is charging full speed ahead, just announcing their "It's All a Jam" Spring tour for 2014 with special guests True Press. This massive nationwide tour kicks off on March 6, 2016 in the “city of angels”, Los Angeles, California and ends 65 days and 49 cities later on May 10, 2014 in Santa Ana, California. 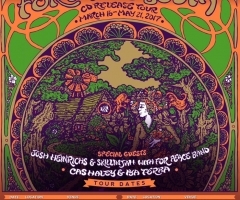 The Spring tour will be kicking off just after their West Coast Cruisin’ tour ends, giving the South Bay natives roughly a month of downtime to stretch their feet and take a deep breath. 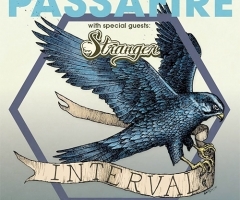 Tickets for this massive tour will go on sale January 10, 2014. More info on their website. 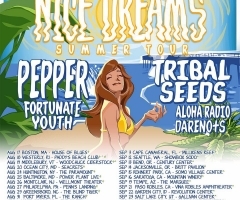 Upcoming shows for "fortunate youth"